The latest technology in keyboard now is wireless but still I go for the regular keyboard because I find it a hassle to recharge the battery every now and then. I’m relieved to find the new powered-by-light wherever-you-go keyboard for Mac®, iPad® or iPhone®. 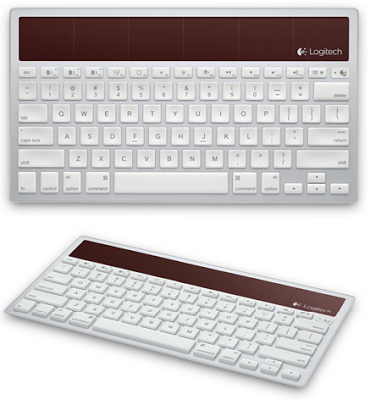 This Logitech wireless solar keyboard K760 is powered by any light - inside and out, be it low light and lamp light. It also works for at least three months if it’s fully charged. No battery hassles and can work even in total darkness.